When we think about eliminating “processed foods,” most people’s minds go straight to grain-based confections wrapped in crinkly cellophane liners or boxed up in the cereal aisle. But what about less obvious forms of processing? Isn’t fermentation a “process”? What about cooking; isn’t it “processing” a food to chop it up, heat it, and combine it with other foods and spices? Yes, technically it is. You might not think of a home-cooked meal as “processed food,” but cooked food actually is processed in the sense of being removed from its original state. Obviously, a home-cooked meal doesn’t include the usual suspects found in store-bought “processed food” (excess salt, MSG, and other additives), but it does chemically change the food you’re about to eat. So does even home processing compromise the nutrition of your food? 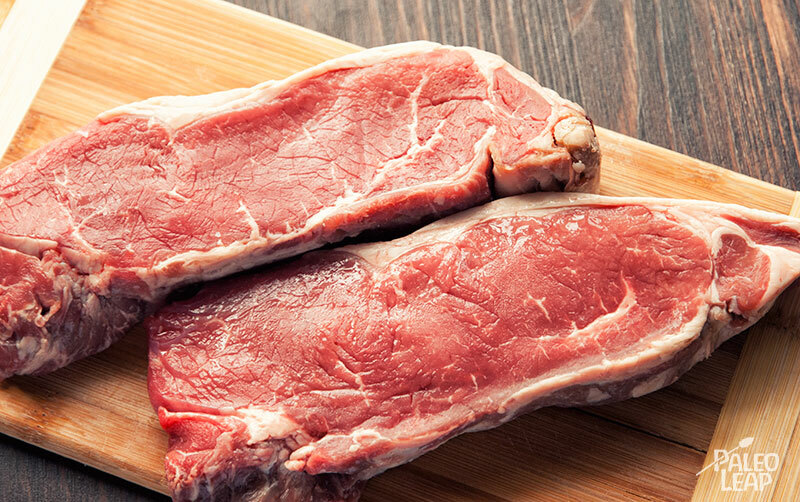 Would a true Paleo diet mean eating your steak raw? Not necessarily. Cooking is basically a series of trade-offs: you get some disadvantages, but you also get some fairly significant advantages along for the ride. Provided you take reasonable precautions, raw and cooked meat are both perfectly safe and healthy to eat: pick either one or a combination of both depending on your tastes and preference. One potential disadvantage of cooking is nutrient loss. Minerals are basically heat-stable, and fat-soluble vitamins (A, D, E, and K) are basically stable, but water-soluble vitamins (B vitamins and C) are more fragile and cooking can result in serious losses. To start with, cooking meat thoroughly destroys the Vitamin C in it. Although Vitamin C is normally associated with vegetables, it’s also present in raw meat, as the explorer Vilhjalmur Stefansson convincingly demonstrated when he lived for a year on raw and lightly-cooked meat without ever getting scurvy. Vitamin C is heat-sensitive, though, so by the time your bacon is nicely crispy around the edges, it’s gone. But this really isn’t an issue if you eat even minimal amounts of vegetables: meat makes a very tiny contribution to the Vitamin C content of most normal diets, because fruits and vegetables provide more than enough. Cooking also reduces the levels of Vitamin B6, another heat-sensitive nutrient that just can’t hold up to a frying pan or even a slow-cooker. On the other hand, many common sources of B6 are foods that we usually eat raw. One cup of spinach, for example, has 22% of the RDA, and an avocado has 19%. If you were eating a purely carnivorous cooked diet, it’s easy to see how B6 deficiency would be a concern, but if your daily food intake includes some fruits and vegetables as well, this is not such a huge deal. Overall, if your diet consists exclusively of meat, raw meat is better than cooked. But if you eat a reasonable amount of non-meat food, the vitamin losses from cooking your meat aren’t terribly significant. Another point against cooking meat is that the cooking process can form several types of carcinogenic (or potentially carcinogenic) compounds. First of all, the heat of cooking leads to the formation of Advanced Gylcation End-products (AGEs). These are by-products that form when protein and sugar meet a heat source; they’re responsible for the brown color that you get from a nicely seared steak. AGEs are a major source of oxidative stress, which drives overall inflammation and accelerates the inevitable process of physical degeneration (especially the physical decline associated with aging). So far, so bad, but there’s one caveat to this: the AGEs you get in food are actually a very small proportion of the AGEs your body actually has to deal with. Even meat that’s burnt to a crisp barely contributes anything relative to the AGEs your body produces all on its own. So yes, AGEs are dangerous, but the best way to reduce them is to reduce your own body’s production (by avoiding excess fructose consumption), not to stress out about grill marks on your burger. Depending on how the meat was cooked, AGEs are not the only potential carcinogens involved. If it’s been cooked very “violently” at a high heat (e.g. grilled or smoked meat), using a technique that allows the juices from the meat to drip off onto the hot surface, there are other dangers as well. When the meat is cooked at high temperatures, proteins, sugars, and creatine in the meat react to form chemical compounds known as heterocyclic amines (HCAs). Over a grill, when the juices and fat drip out and hit the hot surface below, they form another type of carcinogen called PAHs. Smoke rising back up from the flames coats the meat with these PAHs, giving it a delicious barbecue flavor, but bringing some potentially dangerous chemicals along for the ride. To put it another way, even if you ate the meat highest in HCAs (broiled steak), you’d have to eat 642 pounds of steak in one day to get the dose of PhlP used in the mouse studies. It’s possible that these chemicals could build up over time, and it’s very likely that they become more dangerous via interaction with other carcinogens in the environment, but it’s important not to overstate the danger here. Epidemiologic studies suggest a link between consuming barbecued or deep-fried meat and various types of cancer in humans, but as we all know, epidemiologic studies rarely tell the whole story. So on the whole, the evidence about HCAs and PAHs is suggestive, but far from conclusive. There are also quite a few ways to reduce HCAs even in cooked meat. For starters, low-temperature cooking barely forms any at all. So simmering, steaming, or crock-pot cooking doesn’t even raise these concerns. PAHs can be completely eliminated by using some kind of barrier between the meat juices and the heat source. But if you really want to get your barbecue on, there’s good news: the other ingredients in the recipe can actually help. Specifically, various marinades can reduce the HCA content of grilled steak by as much as 88%, mostly because they contain antioxidant-rich herbs and spices. Onion powder added to beef patties reduced two major types of HCAs by 81%. Olive oil (thanks to its antioxidants) helps reduce HCA formation when it’s used as a frying oil. One study found that grape seed and rosemary extract also helped. On top of that, a diet rich in overall antioxidants is also beneficial, even if those antioxidants aren’t cooked with the meat. One study to test this gave subjects either low-temperature meat (cooked at 100 F) or high-temperature meat (cooked at 250 F), to see whether it would affect various markers for colon cancer risk. The high-temperature meat did indeed have higher concentrations of HCAs, and subjects eating it showed potentially precancerous changes. But eating one of three “inhibitors” (cruciferous vegetables, yogurt, or chlorophyll tablets) along with the high-temperature meat drastically reduced damage to the colon cells. On the whole, HCAs and PAHs are a very small risk to start with, and almost completely avoidable by using gentle cooking methods or antioxidant-rich spices (which most of us do anyway, because they’re delicious) when we do fire up the barbecue. Even the leanest chicken breast contains at least a little bit of fat, and the fat in meat is not magically immune to the dangers of oxidation. Oxidation – the reaction of the fat with oxygen – occurs at room temperature anyway, but it’s much faster at high temperatures. Oxidized fats are very inflammatory, and likely to be the real villains behind cardiovascular disease. Polyunsaturated fats (PUFA) are especially prone to oxidation, which is one reason why chicken and pork (which have relatively high levels of PUFA) are less ideal meat choices from a Paleo perspective than ruminant meat. Here again, common spices and herbs – for example, garlic – act as antioxidants and prevent the fat in the meat from degrading. Since using spices and herbs is a pervasive culinary practice, this seems like a simple, elegant, and tasty way to make your meat even better for you. Perhaps there’s a reason why we love the taste of spices on our meat so much so much! The most obvious advantage of cooking is safety. Cooking meat kills bacteria, parasites, and viruses that can make you very, very sick if you ingest them. Raw-food advocates like to downplay this, but it’s actually quite a serious problem. According to 2011 CDC estimates, meat and poultry products accounted for 22% of foodborne illnesses, and 29% of deaths, making them the second most dangerous category of food (leafy vegetables were first). And this is just accidental contamination from people who presumably knew that raw meat can be dangerous and were making at least some kind of effort to avoid contact with it. If they were deliberately eating it raw, the numbers would probably be a lot worse. Of course, these were all numbers for people eating factory-farmed meat. This only shows that cooking is a necessary precaution for suboptimal animal products (from animals that weren’t grass-fed or pastured). It doesn’t prove anything about raw meat from healthy, happy animals. So if you’re stuck with grocery-store meat, don’t risk your health on the gamble that there won’t be pathogens in there. The only meat you should ever eat raw is meat you can completely trust. If you’re still a little leery even with well-treated animals, freezing the meat for 2 weeks before you eat it can also kill most potential pathogens (just also be careful about defrosting it afterwards: defrost in the fridge, not on the counter, or you’ll just get your newly-sanitized meat contaminated again). One very common evolutionary theory is that human beings and cooking evolved side-by-side, because if we couldn’t cook, we literally couldn’t be humans. Cooked meat and fat allowed us to take in enough calories to fuel our enormous, energy-greedy brains. If we had to constantly graze on fruit like gorillas, we’d need all that energy for our digestive systems instead; cooking meat allows us to have smaller, less energy-intensive guts, and frees up calories to fuel our brains. In the days before freezers and refrigerators, it also allowed us to get all that nutrition from animal foods without such a high risk of foodborne disease. This theory holds that cooking makes meat a more efficient delivery mechanism for calories, especially protein. It’s true that applying heat does help to denature the proteins, or “pre-digest” them a little bit before they get to your mouth. It seems logical that this would help you absorb and use these “pre-digested” proteins more efficiently. But the actual evidence isn’t so clear, and there’s a sharp debate going on about what’s actually happening. One study, for example, found that between 51 and 65% of the protein in raw eggs was digestible, while for cooked eggs, that number rose to 91-94%. But other studies have shown the exact opposite effect! And just to make it all even more complicated, one recent study found that it actually varies with cooking temperature: a moderate temperature helps, but a high temperature hurts. The upshot is that the evidence from the protein-digestion front is fairly mixed. In plant proteins (soy and legumes), cooking definitely improves nutritional value, but that’s not particularly relevant to a Paleo diet, and there’s just not a lot of evidence for meat one way or the other. But there are a few other points worth considering on the “energy availability” front. First of all, there’s the fact that cooked meat has less moisture, so you can eat an equivalent amount of calories in a smaller volume of food (namely, less work for your teeth, jaw, and gut). Cooked food is also tastier to most of us than raw food, so we’ll want to eat more of it. In times of food shortage, this could very well be an advantage even if the protein is equally or a little less bioavailable. Then there’s the evidence from the raw-food crowd. A raw-food diet is great for losing weight – in fact, it’s a little too good. Both men and women on a raw-food diet are at risk of becoming underweight; one survey found that roughly 30% of premenopausal women on a raw-food diet had lost so much weight that their fertility was impaired. This suggests that humans do best with at least some cooked foods in our diet, to provide us with enough energy: loss of fertility is a very dangerous sign that your body is trying to survive in famine conditions. You can go back and forth on this issue, citing different evidence. But a more relevant question is really whether it matters at all. For 21st century humans, protein scarcity isn’t a problem and we have more calories than we could ever use. We don’t really need a technology to make protein and calories more available. For our Paleolithic ancestors, this might have been a survival advantage, but for us, it’s not terribly relevant. Then there’s the mass of information (and misinformation) about enzymes. The raw-food camp claims that cooking meat destroys naturally-occurring enzymes that help you digest it. Without these enzymes, your body has to work harder to break down the food, making it more difficult to digest and use. There’s just one problem with this theory: all those enzymes get destroyed in your stomach anyway. So even if your body could use a cow’s enzymes (debatable, since you are not a cow), it wouldn’t matter. Given equal quantities of raw and cooked meat, the raw meat might sit a little lighter in your stomach because more of it is water, but that’s not due to any magical enzymes pre-digesting it for you. Completely raw: Untouched by heat or any other process; this is the meat you get when you hunt down an animal and dig in while it’s still warm. Non-cooked cured meats: sausage and salami are technically “processed” but curing salt, dehydration, and the fermentation process take care of potential pathogens without the need for heat. In fact, some raw-food diets prize fermented meat even more highly than strictly raw meat, because of the probiotic health benefits. 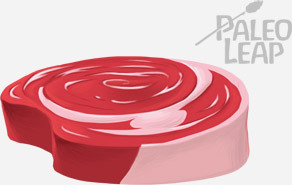 Acid-marinated meat. Ceviche or other animal products marinated in an acidic liquid like lemon juice or vinegar are very lightly “cooked” by the chemical action of the marinade. This doesn’t protect against pathogens as well as fermentation or dehydration, but it does help. Partially-cooked meat: rare steak isn’t exactly raw, but it’s not totally cooked, either. 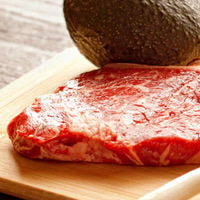 A quick sear to the outside of a piece of meat will add flavor and kill any viruses or bacteria present (although it does nothing for parasites inside the meat). This method can also be used for scallops, tuna, or other cuts that are one continuous piece. Gently cooked meat: slow-cooking, steaming, or other gentle cooking methods create far fewer potential carcinogens than frying or grilling, and preserve more nutrients. For example, slow-cooking results in almost no formation of HCAs. Roughly-cooked meat: on the extreme “cooked” end of the spectrum, “rough” cooking includes pan-frying, deep-frying, and grilling. Rough cooking methods are very tasty, but they are also more likely to have negative consequences. Like many other issues in health and nutrition, cooking is really a tradeoff rather than a black-and-white issue. The major issue seems to be the potentially carcinogenic by-products of cooking (HCAs, PAHs, and AGEs), but are these an acceptable price to pay for better food safety and possibly a higher energy availability? If you were a caveman living without a guaranteed supply of food every day, your choice would be very clear: cooked food allows you to get more calories at every meal and reduces the chance of dying from a parasite infection, so it’s highly beneficial. The potential for a slightly increased cancer risk at age 70 doesn’t really measure up to the danger of starving to death right now. For modern humans, who have access to clean raw meat and don’t need to worry about whether our next meal is a week away, it’s a little less clear-cut. There are ways to minimize the drawbacks of both choices, either by preparing and sourcing your raw meat carefully, or by cooking meat to minimize the harmful effects while still enjoying its benefits. From a practical perspective, it’s usually more workable to eat cooked meat most of the time, because you won’t have to worry quite so much about quality. And it is a little socially strange to enjoy a big plate of raw steak (although every culture does have raw delicacies like steak tartar or ceviche). But in the end, the best meat is the one that fills you with energy and makes you feel healthy, happy, and strong: whether it’s raw or cooked, enjoy it!